As a national leader in juvenile justice, Pennsylvania has an ongoing commitment to improving its balanced and restorative justice outcomes through innovation and vision, strong partnerships at both the state and local levels, and cooperation with both public and private sector service providers. Most recently, between 2005 and 2010, the John D. and Catherine T. MacArthur Foundation selected Pennsylvania as the first state in the country to participate in its Models for Change initiative. Virtually all components of Pennsylvania’s juvenile justice system were engaged, in some way, in system reform. Pennsylvania’s Models for Change reform efforts focused on three targeted areas of improvement: coordinating the mental health and juvenile justice systems, improving aftercare services and supports for youth and their families, and addressing disproportionate minority contact within the juvenile justice system. Models for Change accelerated the pace of Pennsylvania’s previous efforts at reform at both the state and local levels, and supported various evidence-based practices, such as the introduction of screening and assessment instruments. A number of juvenile probation departments began working toward implementing a valid and reliable risk/needs instrument,developing a case plan model to address the identified risks and needs, and providing targeted evidence-based interventions. 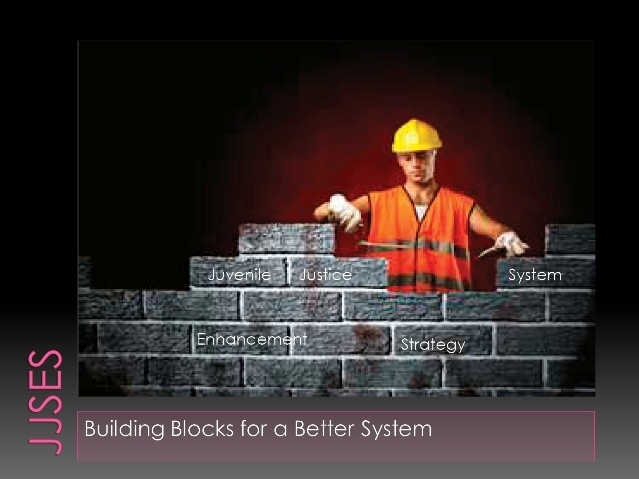 In June 2010, with the five-year commitment of the MacArthur Foundation drawing to a close, the Executive Committee of the Pennsylvania Council of Chief Juvenile Probation Officers and Juvenile Court Judges’ Commission (JCJC) staff agreed, at their annual strategic planning meeting, that the “Juvenile Justice System Enhancement Strategy” (JJSES) was needed, both to consolidate the gains of the previous five years “under one roof ” and to develop strategies to sustain and enhance those efforts. Pennsylvania’s JJSES rests on two interlinked foundations: the best empirical research available in the field of juvenile justice and a set of core beliefs about how to put this research into practice. To these ends, a JJSES coordinator was appointed, a leadership team was created, and The Carey Group, Inc. was retained to begin developing an implementation strategy. One year later, the Center for Juvenile Justice Reform at Georgetown University selected Berks County and the Commonwealth of Pennsylvania as one of four sites in the nation to participate in its Juvenile Justice System Improvement Project (JJSIP). The JJSIP assists states in improving outcomes for juvenile off enders by better translating knowledge on “what works” into everyday policy and practice—an approach very consistent with Pennsylvania’s JJSES. Pennsylvania intends toincorporate “lessons learned” from Berks County’s participation in the JJSIP into the statewide Juvenile Justice System Enhancement Strategy.